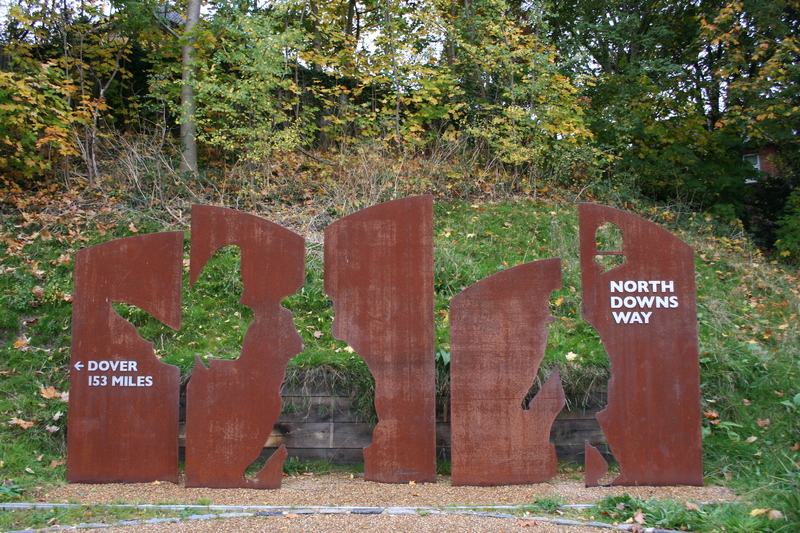 This sculpture symbolises the start of the North Downs Way, which takes you by foot from Farnham in Surrey all the way to Dover in Sussex. This piece has been sculptured using an architectural weathering steel called Corten. Handmade by Andy Quirk and by Graham Hart. Designed by FDK Design Guildford.